Despite the failure of her Brexit plan that led to accusations she is leading a ‘zombie government’, May remains in power. British Prime Minister Theresa May survived another no confidence vote – or a confidence vote as it’s known in the UK – on Wednesday despite a crushing defeat over her Brexit deal with the EU that triggered warnings of a chaotic “no-deal” divorce. May and her government survived the motion by 325 votes to 306. MPs on Tuesday rejected May’s deal on leaving the European Union by a historic margin, leaving the Brexit process in disarray just over two months before the March 29 withdrawal date. The scale of the defeat – by 432 votes to 202 – left Europe reeling, with various countries saying they would intensify preparations in case Britain crashes out with no deal at all. May promised to reach out to other parties in parliament to find a consensus, promising to return with a new plan on Monday. In the meanwhile, she has managed to overcome a confidence vote called by the main opposition Labour party, which is hoping to force an election. May expected to win the 7pm (1900 GMT) vote, as even the most vociferous critics of her Brexit deal in her Conservative party and among her Northern Irish allies have said they would support her. May repeated two key principles – limiting EU migration and pursuing an independent trade policy – which would rule out Labour hopes of membership of an EU customs union or its single market. But she hinted at the possibility of delaying Brexit, saying the EU would allow this “if it was clear that there was a plan towards moving towards an agreed deal”. However, May’s Downing Street office denied any change in position, saying Brexit would happen in March as planned. Before Tuesday’s vote, EU leaders repeatedly said they will not reopen the withdrawal deal sealed at a special Brussels summit in December. 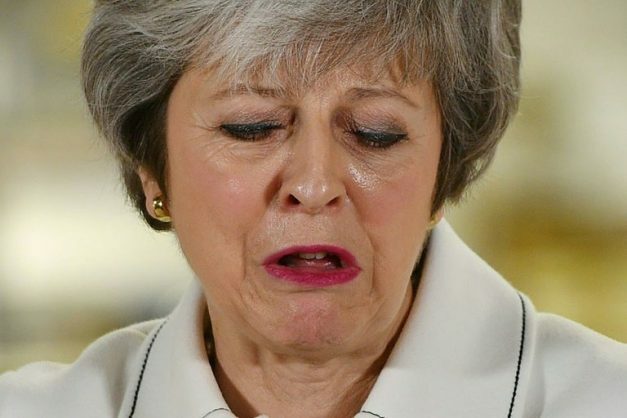 More than one third of May’s MPs – 118 out of 317 – voted against her Brexit deal, and Labour leader Jeremy Corbyn said she was leading a “zombie government”. Opening the no confidence debate on Wednesday, he said the agreement was “officially dead” and demanded May “do the right thing and resign”. But the prime minister, who stood up to speak to cheers from her own side, said an election was “the worst thing we could do”. “It would deepen division when we need unity, it would bring chaos when we need certainty and it would bring delay when we need to move forward,” she said. While MPs agreed to reject May’s deal, they had different reasons, with some judging that it either kept Britain too close to the EU or not close enough. Many Brexit supporters, including Northern Ireland’s Democratic Unionist Party (DUP), which props up May’s government in parliament, want her to renegotiate her deal. But for pro-Europeans, Tuesday’s vote fired the starting whistle on a more radical bid to change her strategy.